California will once again carry the marching band baton for the rest of America with news that it has become the first state to ban "therapy" practices that seek to change the sexual orientation of minors after Gov. Jerry Brown signed a bill into law on Saturday. 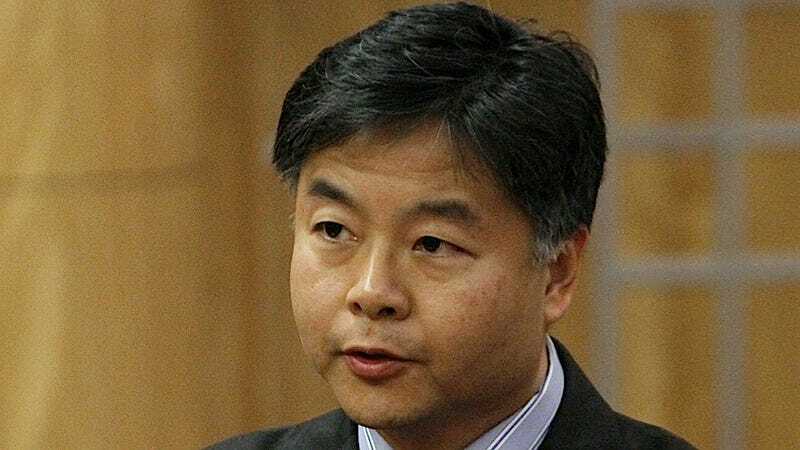 The bill, SB1172 by Sen. Ted Lieu (above) of Los Angeles County, prevents mental health practitioners from performing so-called "reparative therapy," which professional psychological organizations have said (in so many words) is really just a super-damaging way for homophobes to bully minors. This bill bans non-scientific 'therapies' that have driven young people to depression and suicide. These practices have no basis in science or medicine and they will now be relegated to the dustbin of quackery. The success of the new bill owes itself mainly to the efforts of national gay rights organizations such as the Human Rights Campaign, which garnered more than 50,000 signatures on a petition sent to Brown urging him to approve the measure to ban reparative therapy.